Svenja Schaper (left), UK co-ordinator for Samurai Shiatsu, and Karin Kalbantner-Wernicke (right), the founder of this programme. 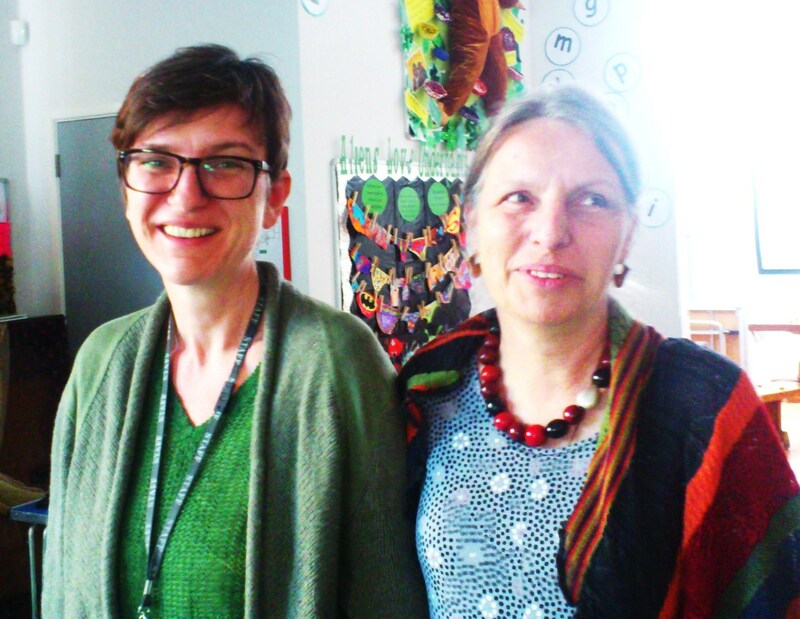 Karin delivered training for the first time in the UK (11-13 April, London) with support and translation by Svenja. Samurai Shiatsu is a practical programme to support the mental and physical health and well-being of children aged 5 to 12 years old (Reception to Year 7). It is delivered by a fully-qualified Shiatsu practitioner who has done Samurai Shiatsu training. In order to experience first-hand some of the practices and learn about the programme, an introductory session available for school staff and parents. The programme is delivered to the class in 3 weekly sessions, lasting up to 45 minutes. The pupils work individually and in pairs, at their desks, so little furniture needs to be moved. During each session, pupils and teachers learn how to do simple Shiatsu massage techniques on each other. Practices are applied to the head, neck, arms, shoulders and back. There are also games and exercises to promote physical and mental health and well-being. The characters Kooko and Hanako are used to engage children in learning Shiatsu massage techniques. 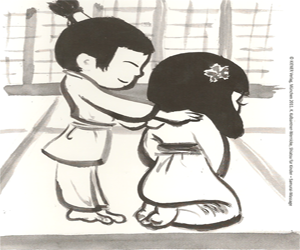 The Samurai Shiatsu programme is structured and designed so the children can practice independently and effectively together, following the three practice sessions. It is also versatile enough to be implemented in a range of settings, such as schools, after school clubs, youth groups, sports groups and centres. An adapted version, Samurai Shiatsu for Older Adults, is also available for the elderly, including those living with dementia. This programme can improve quality of life in later years, maintain physical mobility and enhance mental and emotional well-being.